Sharland Gas & Sons Ltd - Central Heating Engineer, Plumber based in Newport, Gwent. Welcome to Sharland Gas & Sons - The one stop shop for all your plumbing and gas needs. Sharland Gas & Sons is a local family business. We have been within the trade for over 13 years. We are conscientious tradesmen and we take pride within our work. Our aim is to leave all customers feeling a 100% satisfied with the work that was carried out. We believe in quality of work and we will always aim to do the best possible job. 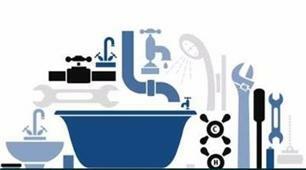 We carry out both domestic and commercial work plumbing and central heating work. We are Gas Safe accredited and Blueflame certified. Boiler break down? Landlord gas safety checks? New bathroom? Plumbing issues? Please call us 24/7 on - 07572016519 our team will be happy to help.